A true devotion to Age Care at home. Home Care Assistance South East Melbourne is able to provide high-quality, personalised in-home aged care services so that seniors can stay and live at home for longer. If you or your ageing loved one is having trouble with daily tasks due to old age, physical, or mental impairment, then Home Care Assistance South East Melbourne can provide aged care services at home. Each person and family is unique and we take the time to understand our client’s preferences, wishes and dreams. Home Care Assistance South East Melbourne is able to tailor the services to provide one-on-one attention from a caregiver of choice and customised care plan for your loved one. Our unique approach to in-home aged care promotes a high quality of life for seniors and allows family caregivers to resume their role as a loving and supportive family member. Home Care Assistance’s highly-skilled caregivers ensure that they help enable participation by the client rather than doing the job for them, thus helping increase independence leading to greater client satisfaction when providing aged care at home. We will work with you to develop a plan that suits your needs and life style and select caregivers based on your preferences. If you have already been assessed for and offered a Home Care Package – we can help you with a wonderful, personalised Home Care Package service. If you have not applied for a Commonwealth Home Care Package yet, and you would like to – we can help. It’s easy! While all seniors benefit from our science-based Cognitive Therapeutics Method™, it was specifically designed to slow mental decline in seniors with memory impairment through activities targeting attention, visual-spatial perception, language, memory, and executive functioning. Knowing where to turn to find solutions can be challenging, but with our compassionate support for Alzheimer’s In-home Care for Seniors, we can assure you peace-of-mind. We offer a reliable and professional home based care twenty-four hours a day, seven days a week for clients at various stages of Dementia. Rest assured knowing that a trained Dementia caregiver is only a phone call away. Home Care Assistance is a trusted name in In-home Parkinson’s Care for Seniors, offering specialised care in the comfort of a senior’s own home to promote dignity and encourage as much independence as possible. For seniors who are nearing the end of their life, the comfort and familiarity of home is their preferred place to spend their final days. Surrounded by their family, friends, pets and possessions, patients and their loved ones are able to enjoy these precious last moments together. When an elderly patient is hospitalised for a medical procedure or illness, their recovery can be lengthy and painful. If your elderly parent or loved one has recently received hospital treatment, Home Care Assistance offers Post-Hospital Care that promotes a faster recovery for seniors in the comfort of their home. Home Care Assistance South East Melbourne offers a comprehensive range of home and community based supports to people who have been injured in a motor vehicle accident or at work. We have a stringent selection process and a comprehensive training. We only hire the best caregivers so that you get a professional and friendly service at all times. Get the care which you need. Talk to our friendly consultants for a free consultation to find out what suites your needs. There are no long term contracts. Home Care Assistance’s professional live-in caregivers can step in and provide assistance early in the mornings, overnight, and on the weekends. 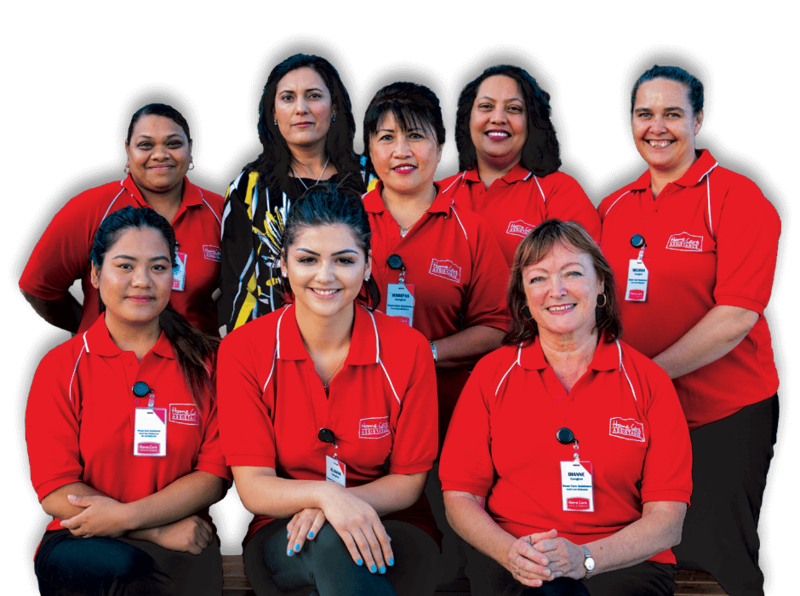 Along with offering a 100% satisfaction guarantee for all of our aged care services,we offer a reliable, professional and friendly service.